This isn’t a pep talk. Its a reality check. You are ok just where you are and fully capable of becoming who you want to be. It is up to you to make the move. For HR professionals, corporate leadership & business professionals looking to integrate work + life to enhance their well-being and the well-being of their coworkers. INDULGE 2019 - Coming soon! A day for women to put themselves first, define their own balance and feel like Badass Babe Warriors™. A day for men to put themselves first, define their own balance, network and build community. Feel-Good Feast - Coming Soon! Be the first to know about event and INDULGE deets. INDULGE™ is a day for women to put themselves first, define their own balance and feel like Badass Babe Warriors™. It is for any woman and every woman no matter their fitness level, beliefs or time in life. We invite you to put yourself first, move your body, be inspired, feel release, dance a little (or a lot), meet kind souls, dream and more than anything, BREATHE. 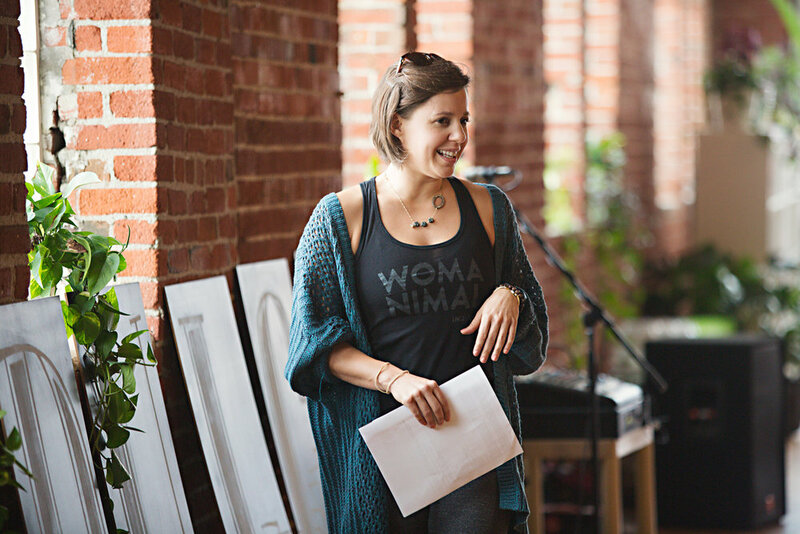 Sarah speaks on topics such as life as a practice, the importance of authenticity and power of tribe. In her talks she helps you see that you are absolutely ok just where you are and you have all the tools within you to become exactly who you imagine becoming. This isn’t a pep talk. Its a reality check that you are fully capable. It is up to you to make the move. Sarah works with companies to adopt wellness/mindful practices to help employees increase energy, health, happiness and productivity. She works with executive level on making cultural changes, entire companies on adopting practices and brings INDULGE events in to encourage employees to define their balance.